I don't geek out too often over things like some other bloggers do. When I found out that Amanda of Conjured Polish was creating a Bioshock inspired collection I was over the moon! I spent a good portion of the summer after my sophomore year in college getting acquainted with the original Bioshock game. I first got into the survival horror fps genre in college. Despite all of the terrifying things I had witnessed during gameplay, nothing had prepared me for jarring actions of splicers. A majority of this collection was inspired by Bioshock Infinite. I am not super familiar with all of the references because my computer is too old to run it properly. That being said, I hope you all enjoy these as much as I did! Booker is a rich metallic maroon. The formula was a nice consistency and looks best with two thin coats. While some metallics have major issues with streaking, Booker was easy to smooth out with a couple of quick brushstrokes. Big Daddy is a light to medium green thermal with silver shimmer. The formula was easy to apply. I found that this looks best with three coats. 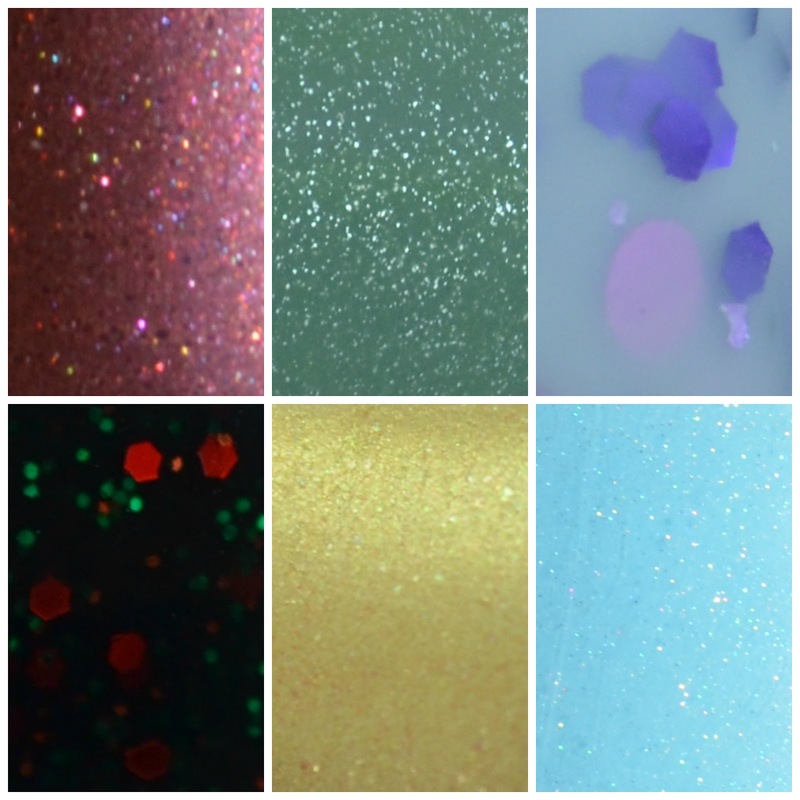 Little Sister is a white crelly with purple circles, hexagons and irregularly shaped glitter. The formula on this was nice but a little more sheer than I anticipated. Pictured above is three coats with no base color. The whole Bioshock collection will be available on September 8th. $1 from every sale will be donated to the Wounded Warrior Project as always. If you've played the Bioshock series, which one was your favorite? Booker is really pretty! That's such a great fall color. These are nice but I really like Booker the best since its not as sheer as the other two here. Booker looks so gorgeous! The original Bioshock will always have a special place in my heart since I played it in high school, but I'm still very fond of them all. I can't wait to see the second portion of this collection!